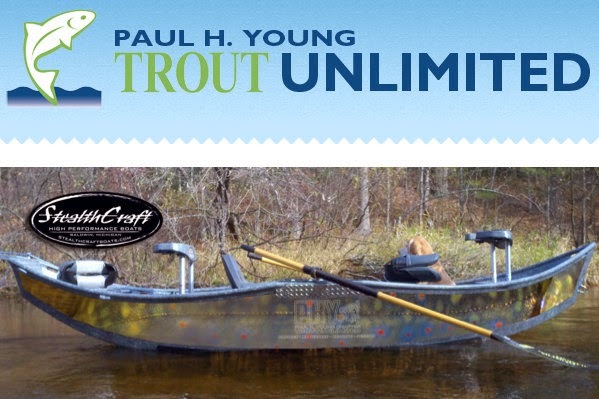 The Paul H. Young chapter of Trout Unlimited, located in the metropolitan Detroit area, will be celebrating it's 50th Anniversary Golden Jubilee on April 24th, 2014, and that evening they will be raffling off a custom 2013 StealthCraft15' AfterMath drift boat which is valued at over $11,000. Only 300 tickets will be sold and they are $50 each. 1 in 300 isn't to bad of odds and can you imagine if you won this tricked out StealthCraft all the places you'd go? Check out the Paul H. Young Trout Unlimited website for more information on this raffle with a link to purchase your tickets there too.